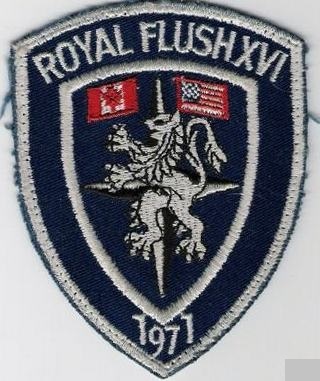 The Royal Flush focussed on exercising the recce role within NATO and the Big Click exercises focussed more the recce operations on the Naval role in Northern Europe. In 1976 Big Click was renamed into Best Focus exercises. 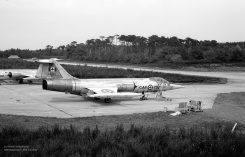 This overview only mentions the exercises in the period the RF-104G was operational used in Europe. 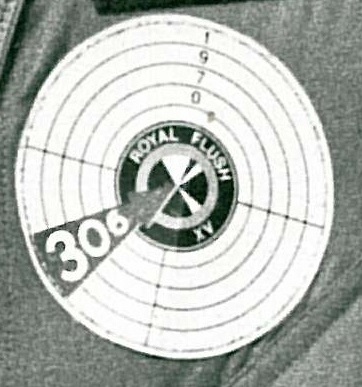 Bulls Eye and Best Focus were merged and formed Tactical Fighter Meet (TFM), held for the first time during 1985 at Karup. 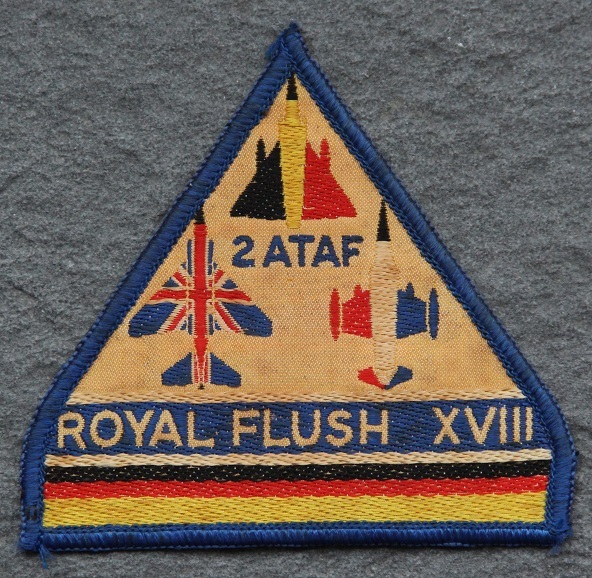 From 1978 the Royal Flush was merged with the Tactical Weapons Meet (TWM) to form the NATO Tactical Air Meet (TAM). 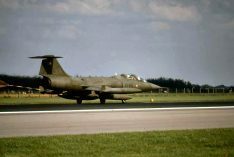 No Starfighter participated with this exercise but there was at least one F-104C Starfighter as visitor, coming from Moron AB, Spain. 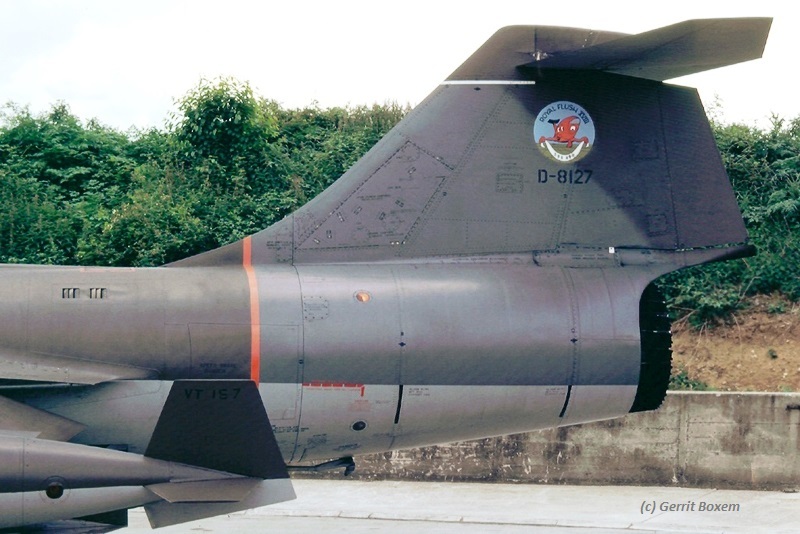 It was F-104C 56-909 of 476 TFS/479 TFW (see photo beneath), and it was seen on May 5th. Next month this Starfighter would be lost in a tragic accident. 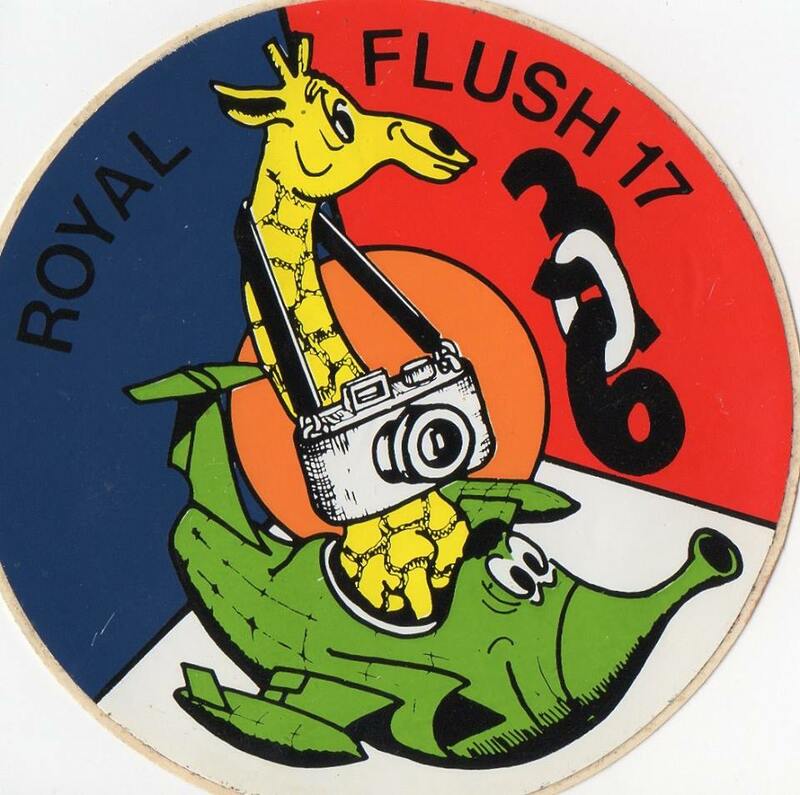 Not known if any RF-104Gs were participating but it is very unlikely. First time that squadrons had to run the exercise operating from their own air base. No participating 104s known. The ending airbase with closure ceremony for this meeting was Alconbury, UK. This recce-meet was held from various different Air Bases. 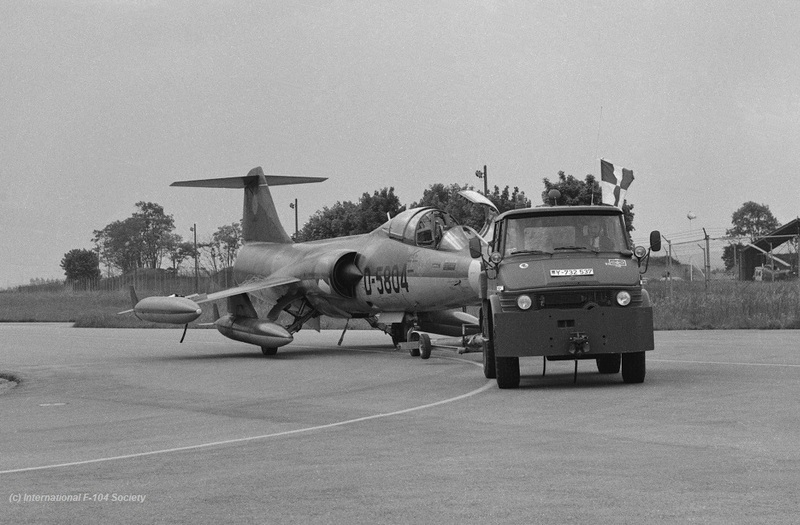 At least the Dutch Air Force 306 Squadron and the Canadian 1st Wing were participating with RF-104G and CF-104 (+ Vicon) Starfighters during this meet. 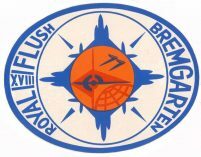 The ending airbase with closure ceremony for this meeting was Furstenfeldbruck, Germany. 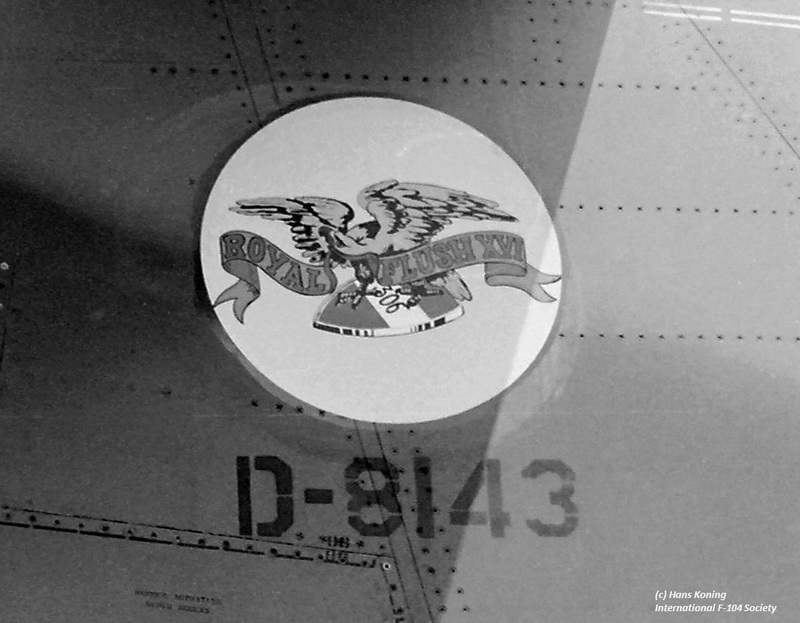 At Volkel officially participation was recorded of aircraft D-8131 (missions 11 and 18 May), D-8138 (mission 11, 12 and 18 May), D-8112 (mission 19 May) and D-8117 (mission 20 May). This recce-meet was held from various different Air Bases. 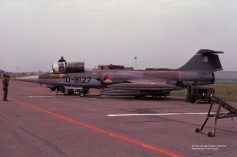 At least the Dutch Air Force 306 Squadron was flying around with RF-104G Starfighters during this meet from Twenthe AB including aircraft D-8117 (camouflaged) and D-8065 + D-8143 (light grey). The Canadians flew with 439 Squadron and 441 Squadron (1Wing) CF-104s from Marville AB with at least aircraft 12740. 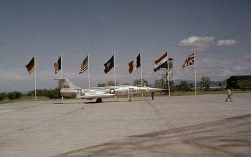 The ending airbase with closure ceremony for this meeting was Strasbourg, France held June 17th. 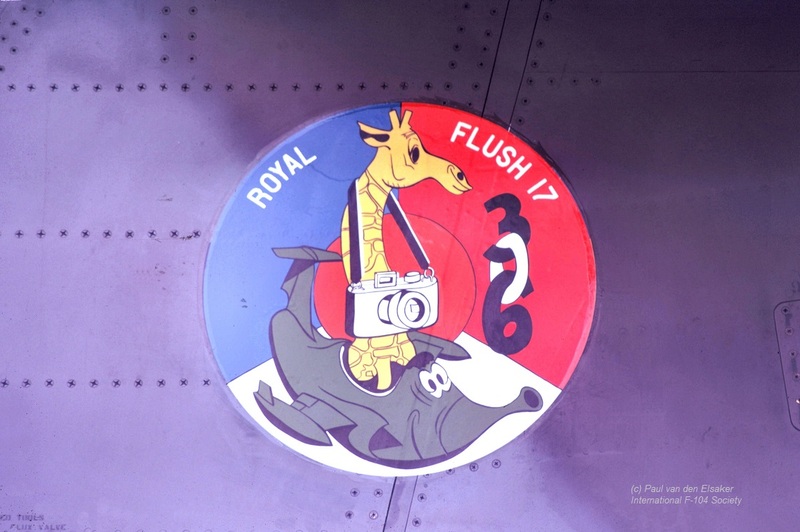 Beneath a photo showing the 1 Wing group (thanks to Alan Archibald) and a photo showing D-8065 being prepared for a Royal Flush competition mission at Twenthe (Gerrit Boxem Collection). This recce-meet was held from various different Air Bases. 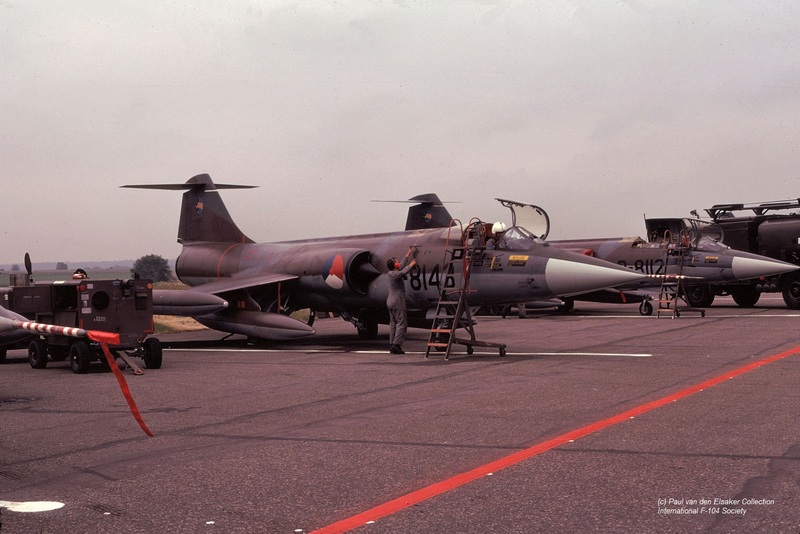 At least the Dutch Air Force 306 Squadron was flying around with RF-104G Starfighters during this meet. Other participants included RCAF CF-104 12886 and German Air Force AG51 RF-104G EA+102. 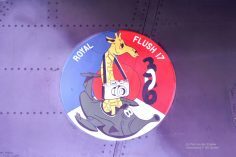 Both were seen during the exercise closure ceremony at Twenthe Air Base (East side) on May 24th. 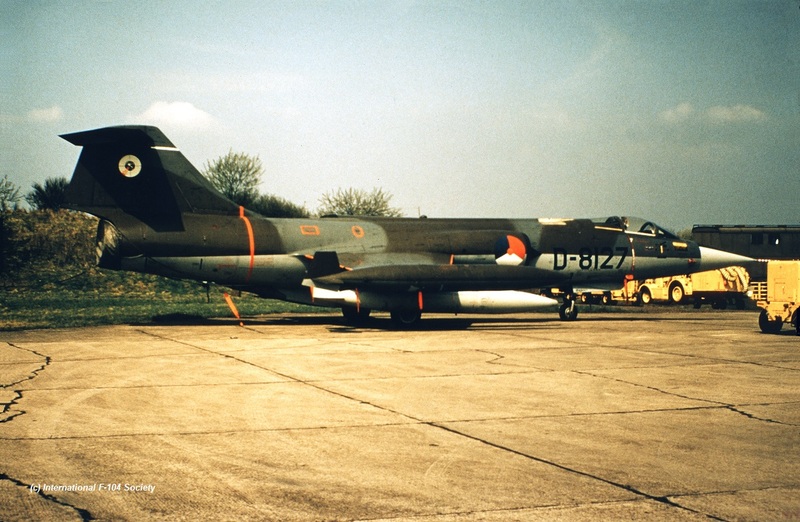 At least the Dutch Air Force 306 Squadron and German Air Force AG51 were flying around with RF-104G Starfighters as well as the Canadians at Lahr with Vicon mounted CF-104s. 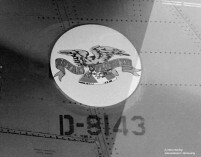 Aircraft included: AG51 RF-104G: EA+117. 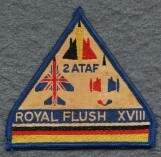 The Canadian 441 Squadron ended 1st position in 4 ATAF with 439 squadron second. 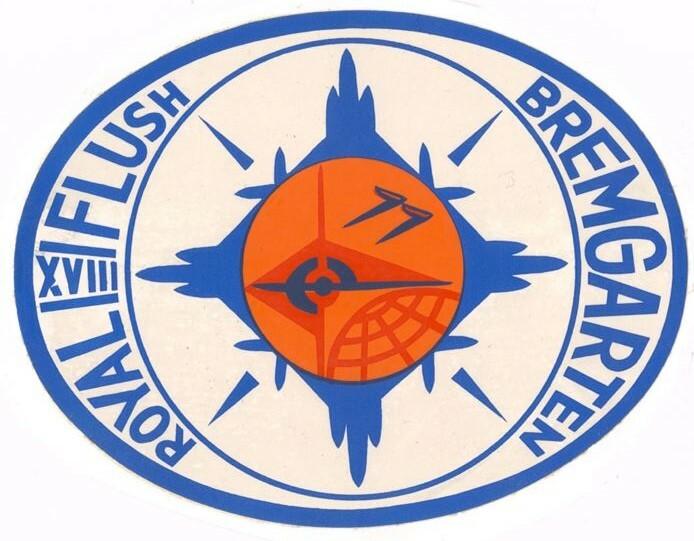 The German Air Force did not participate. 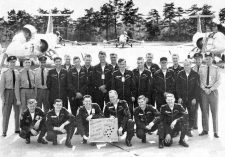 The Canadian Air Force 441 Squadron was best Squadron overall while 439 Squadron was second. 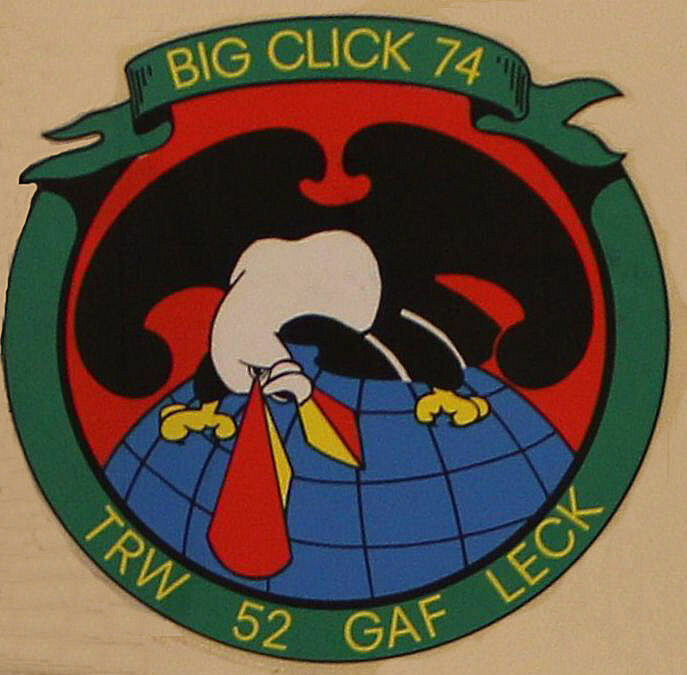 Capt Scott Clements of 439 Squadron was honored "Top Gun". 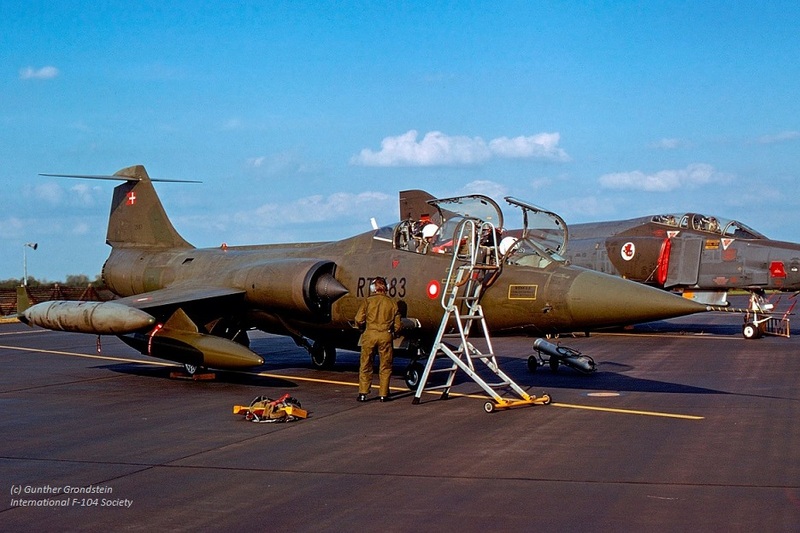 At least the Dutch Air Force 306 Squadron was flying around with RF-104G Starfighters during this meet as well as the Canadian Armed Forces 439sq which used CF-104's with Vicon equipment. 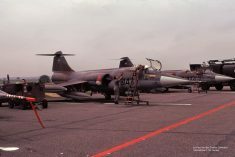 Also the German Air Force AG51 was participating...for the last time with Starfighters. 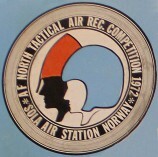 The 439 Squadron won the championship. Dutch Air Force 306 Squadron: D-8059, D-8101, D-8107, D-8127 (See photo beneath) and D-8129. 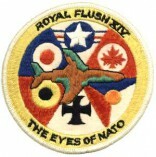 Canadian Armed Forces 1CAG/439 Squadron : 104792, 104799, 104813, 12758 and 12862. Patch thanks to Eddie Duggan and photo of Canadians thanks to and taken by Henk Schakelaar on May 14th. 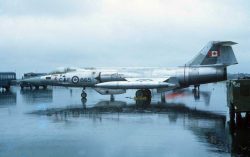 The Dutch Air Force 306 Squadron participated with RF-104G Starfighters, the Canadian Armed Forces 439 Squadron with Vicon mounted CF-104's. The German JBG34 was official jury. Aircraft seen during this meet include: 306sq: D-8057, D-8107, D-8112, D-8127, D-8131 and D-8143. 1CAG: 104760, 104770, 104776, 104792, 104813, 104865, 104899 and CF-104D 104668 JBG34: 22+62 and 28+27 (jury-monitoring). This two-seater was on loan from another squadron. 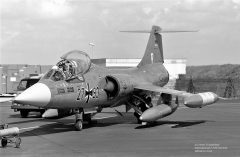 Other TF-104Gs on loan were 27+35 (AG52) and 28+20 (JBG36) Note: On the 4th of June the CF-104 104786 visited Ramstein and was not part of the RoyalFlush team. The French ER33 won the event. The Canadians were 6th out of 7 participating units. 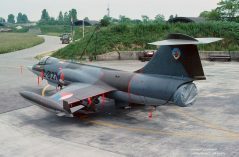 Beneath a photo showing the special designed patch on the tail of Dutch RF-104G D-8143, thanks to Hans Koning and a photo showing 104865 on a very wet June 8th. Patch thanks to Eddie Duggan. 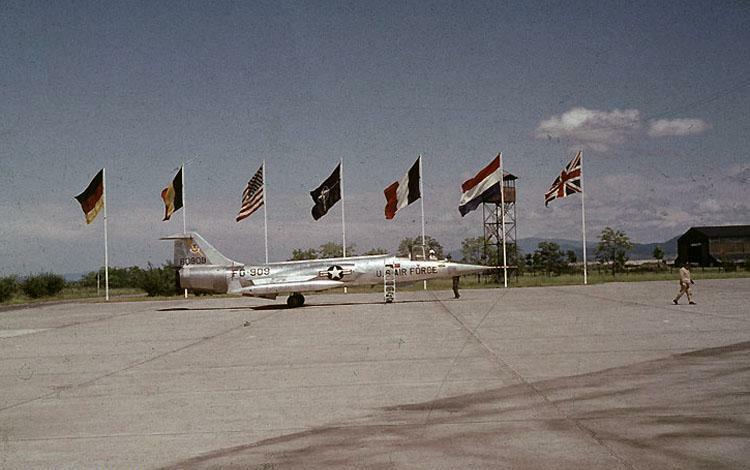 Dutch Air Force 306 Squadron RF-104Gs: D-8112, D-8127, D-8143, D-8145 and the fifth aircraft is unknown. 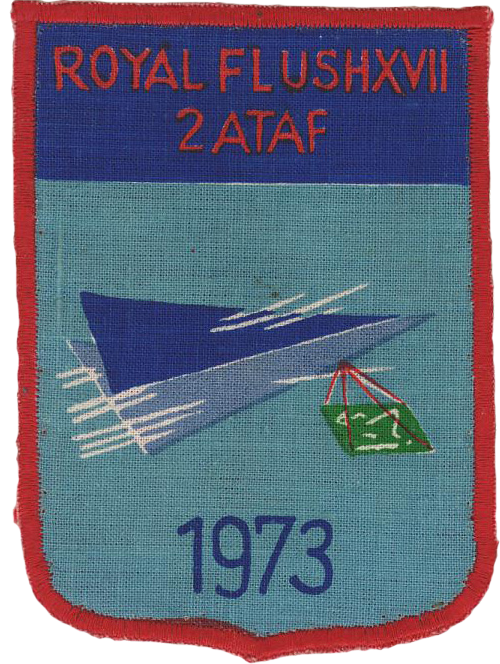 German Air Force referee aircraft were TF-104G 27+79 (MFG1) and 28+10 (MFG2). 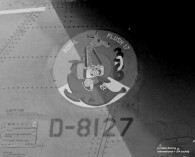 The Dutch aircraft wore special badges on the left side and their standard 306 Squadron badges on the right side. Patch/sticker thanks to Rob Prins and tail photo thanks to Hans Koning and in color thanks to Paul van den Elsaker. Also two photos of participating Dutch RF-104Gs thanks to Paul van den Elsaker. It was the first recce-meet with held also night missions during the competition which was won by the American (10TRS). 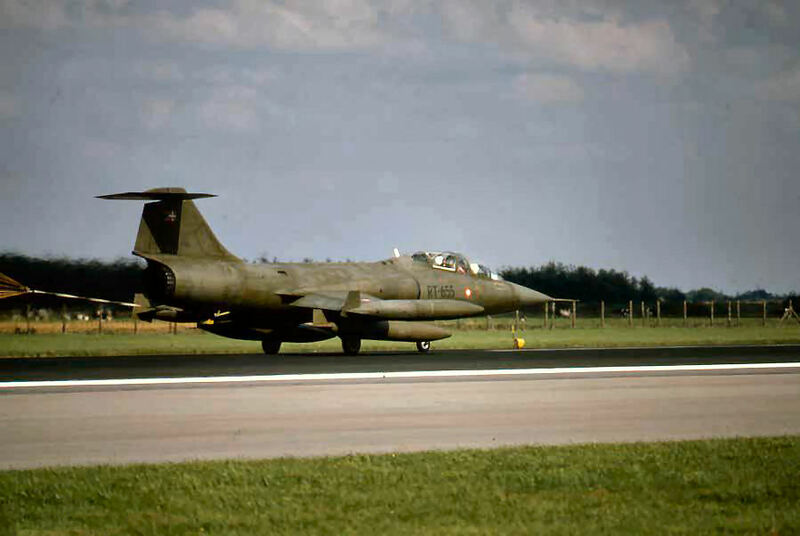 The Dutch Air Force 306 Squadron participated with five RF-104G Starfighters and these aircraft arrived already on May 25th. It was also the last time this exercise was held. 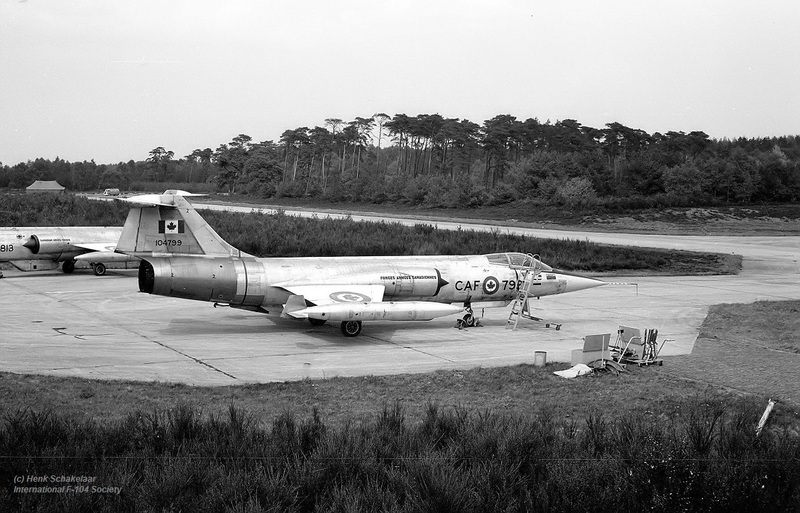 Aircraft seen during this meet include: 306 Squadron: D-8057, D-8065, D-8127, D-8129 and D-8143, also TF-104G D-5804 was seen. JBG34: 28+13 (jury) and MFG2: 28+23 + 28+25 (jury). Beneath a nice photo taken by Gerrit Boxem of the tail with badge on RF-104G D-8127 and the special created patch thanks to Marcel Frenk. 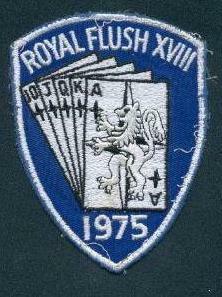 The official Royal Flush sticker was provided by Henk Schakelaar who also made the nice photo of D-8127 from above. 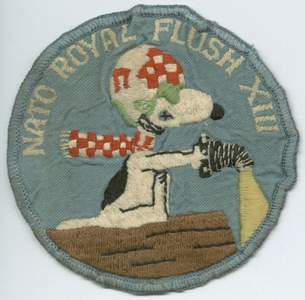 Patch thanks to Eddie Duggan. 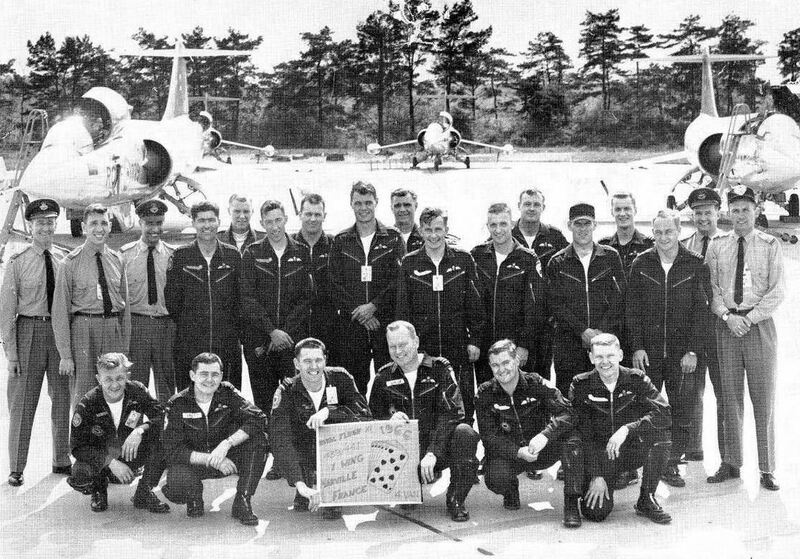 It is unknown if RF-104G Starfighters participated. 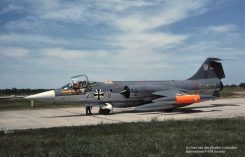 The German Navy MFG2 as well as the German Air Force AG52 participated with RF-104G Starfighters. The German Navy MFG2 participated with RF-104G Starfighters. 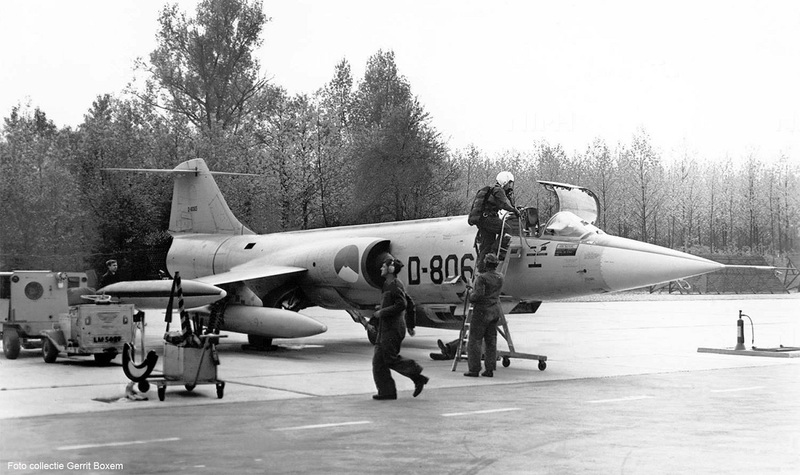 The German Navy MFG2 participated with RF-104G Starfighters. Patch thanks to Eddie Duggan. The German Navy MFG2 participated with RF-104G Starfighters and also a Danish TF-104G was seen at Sola, likely as jury aircraft. German Starfighters seen during this meet include: MFG2: 21+07, 21+14, 21+17, 21+24. 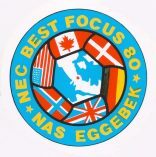 Beneath a photo showing the logo for this event, thanks to Tom Svendsen. See also Norwegian television film HERE. 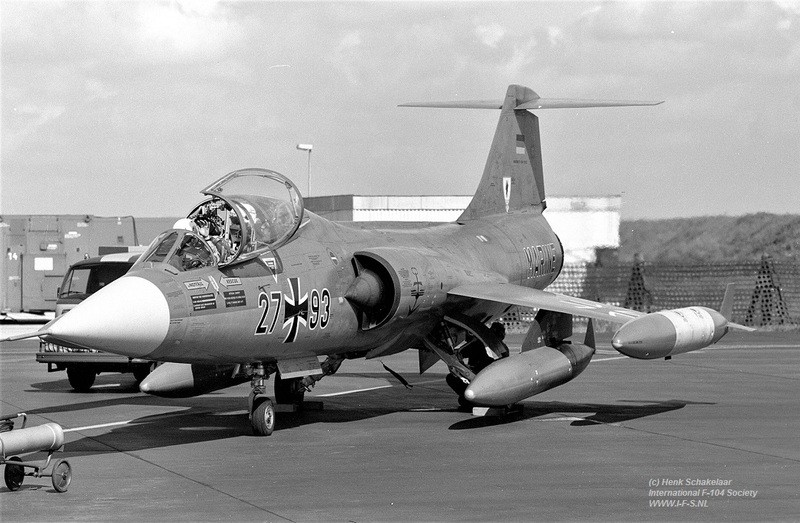 The German Navy MFG2 participated with five RF-104G Starfighters. 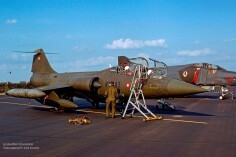 Also Danish Air Force 723 Eskadrille brought CF-104D aircraft probably used as jury. Aircraft seen during this meet include: MFG2 RF-104G : 21+17, 21+19, 21+21, 21+26 and 21+32. 723Esk : RT-655 and RT-683 Also MFG1 TF-104G 27+93 (2nd September) and MFG2 TF-104G 28+10 (3rd September) were seen at Leck AB (See photo taken by Henk Schakelaar) and this could be as jury aircraft but also a normal visit. Beneath photos of RT-655 landing at Leck, RT-683 taken during the event at Leck on September 2nd, thanks to Gunther Grondstein and also the official logo created for this exercise, found by Tom Svendsen at Rygge. And finally a photo of the seen 27+93 from MFG1 by Henk Schakelaar. 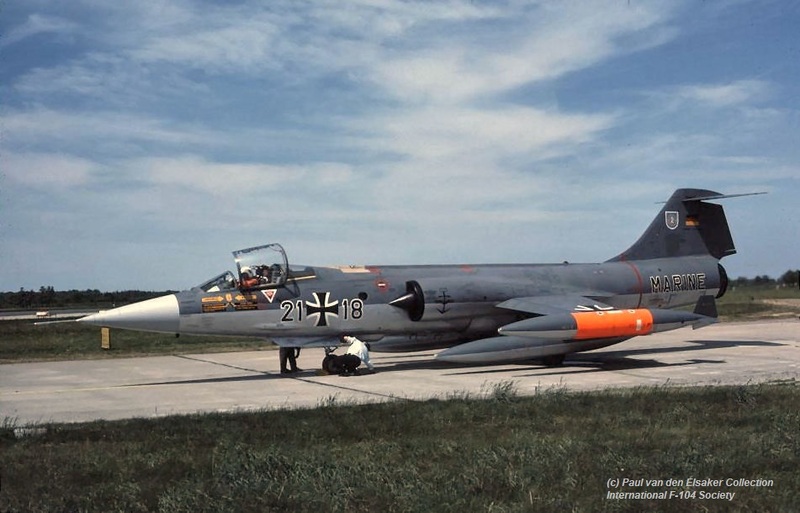 The German Navy MFG2 participated with RF-104G Starfighters. 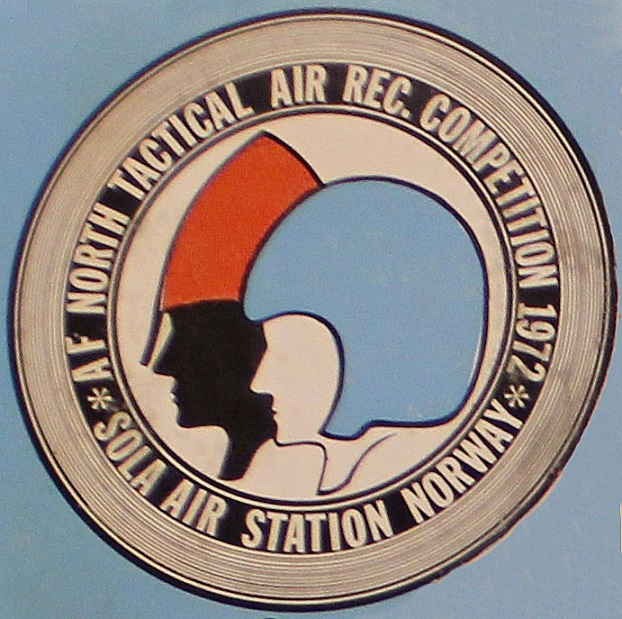 Only Germany, Norway, Denmark and the RAF were acting during this exercise. 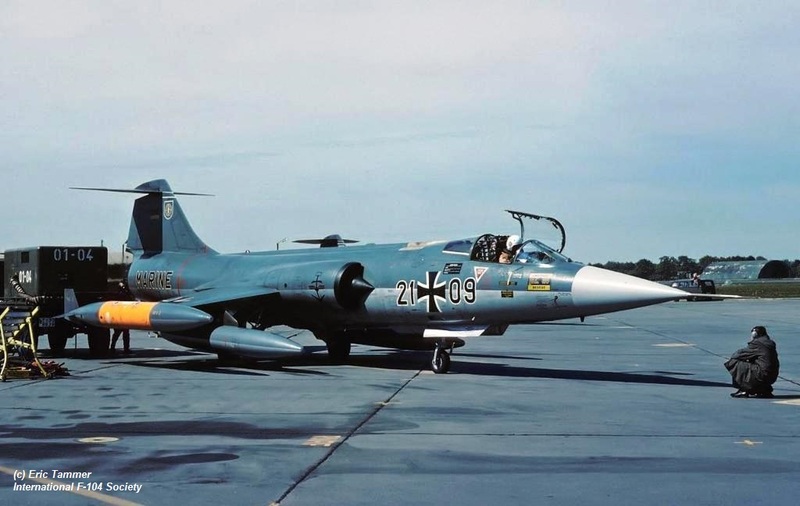 The German Navy MFG2 participated as only squadron with RF-104G Starfighters. 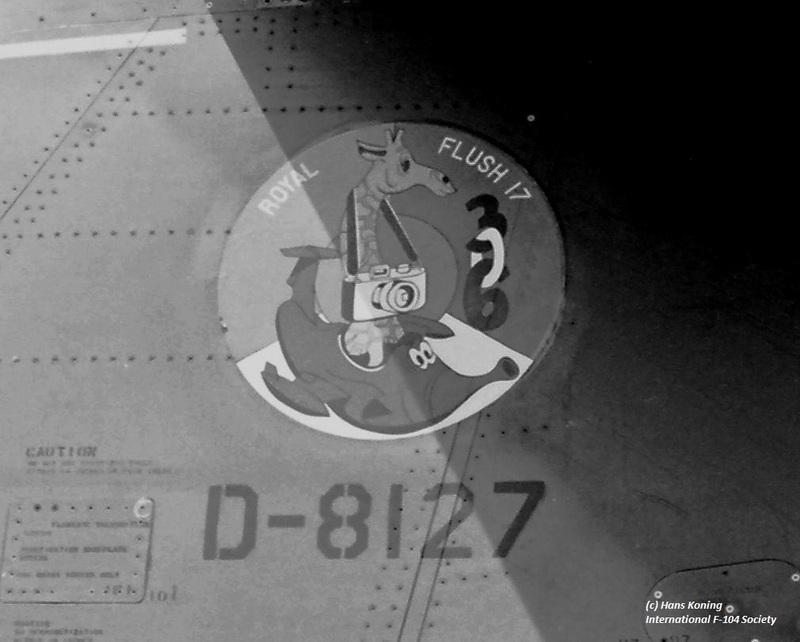 Air Forces which flew missions under Best Focus came from Germany, Denmark, Norway, Canada, the US and also the UK. Aircraft seen during this meet include: MFG2: 21+09, 21+18, 21+26, 23+09, 23+16, 23+17, 23+22. Beneath a photo of 21+09 taken by Eric Tammer and 21+18 (Paul van den Elsaker collection) during the event at Eggebek on June 3rd. 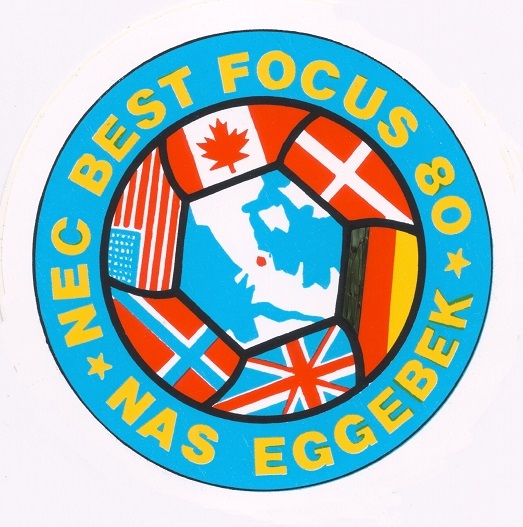 Best Focus 80 sticker was provided by Henk Schakelaar. 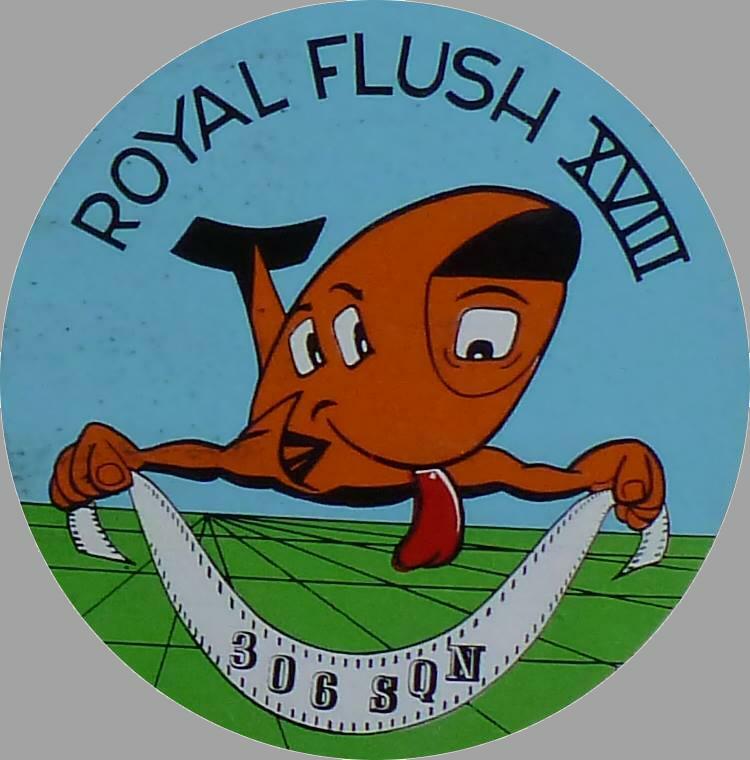 It is not known if the German Navy participated with RF-104G aircraft.